Despite what our toddlers tell us (or would tell us if they had the verbal ability) we can't live at the park. 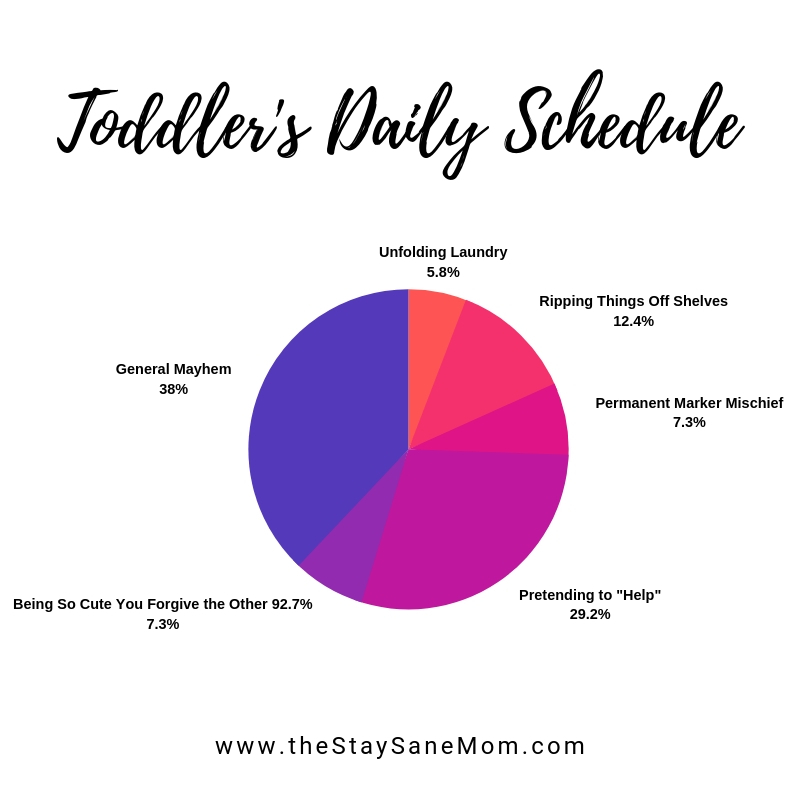 Whether it's because it's cold or raining outside, because mom has actual work to do *gasp*, or because it's time for sibling's piano lesson, it is necessary to spend a great deal of time indoors with your toddler. It's very hard to keep a toddler entertained inside for any prolonged period of time. However, with a small amount of preparation and a few cheap supplies, it's quite possible to have your small humans quite content to hang out indoors. More impressively, you can keep them entertained in ways that don't result in the total and complete destruction of your house. In my time as mom/zookeeper, I've found four basic categories of activities that really work well when it comes to keeping your kids entertained indoors. If you want specific lists of possible activities, check out the free printable guide (linked at the beginning of this post...and again at the end). It gives you huge lists of specific activities you can do with your tiny critters without leaving your house. Kids love arts and crafts. The messier the better. The good thing here, is it doesn't take fancy art supplies or professional equipment to allow your toddler to have an insanely good time. Throw them some crayons and paper, they're generally pretty happy campers...at least for a little while. If they can ruin something nice, expensive, or irreplaceable, they will. Seriously, this sounds pessimistic, but it's actually going to save you a heck of a lot of heartache. Make sure they aren't coloring on top of an antique, family heirloom table. They can and will destroy it. Are you wearing something nice? Yeah, don't do that. Just kidding (mostly). You can wear nice things, just make sure they have washable markers and you have a washing machine on standby. Really, just use common sense here and watch out for Murphy's law. If you give a toddler a paintbrush, paper, and paint, they will paint their clothes, faces, the table, the walls, the dog, and you. This is stressful. If you put them in clothes that are easily washable, make sure the paint isn't permanent, put down a trash bag, and are in an area they can't escape, you can sit back and watch the joyous mayhem unfold. This is gobs of fun and often quite photo-worthy. Take a few extra minutes before you start an activity to Murphy-proof the surrounding area. This turns a nail-biting experience into one that can just be stress-free fun. If there's a "wrong" way to play with something, you can be sure they'll find it in the first five minutes. It's taken me a great deal of personal progress to realize that this isn't necessarily bad. Although my hands still twitch when my adorable little tornado picks up the watercolor paint circles and uses them as crayons, I try to remind myself that it's not going to be the end of the world for her to use them "wrong". The goal isn't for your monster to paint a Monet, the goal is for them to have fun, learn by experimenting, and enjoy themselves. Repeat this silently to yourself while you watch them building a tower out of markers or trying to draw with their legos. While arts and crafts are an activity you have to supervise, interactive play requires that you be an active participant the whole time. These are games like "mother may I?" or "let's pretend" which literally can't happen without two parties. While this doesn't really help if you are hoping for an "autopilot" kind of day where you can sneak in some work time, it is probably the most enjoyable, fun, and educationally beneficial for your little mini-me. They absolutely love games where they're the center of your attention. They love seeing your funny reactions, hearing your voice, and getting to be your sole focus. These games can often get a bit tedious when their attention span greatly outstrips your own, but try to project them forward to the snarky, sullen middle schooler they may someday be. When they're all about their friends, their weird fashion trends, and whatever horrible music future generations will think up and inflict upon us, you'll probably be willing to give anything for one more game of monsters vs. bad guys. As hard as it is to put your massive to do list, endless housework, and bajillion other responsibilities to the side, make sure you do every once in a while. It will create the most lasting memories and will also mean the world to your kid. The only thing toddlers might like better than destroying stuff is feeling stuff. While we take our hands and senses for granted, seeing the world via touch is still a crazy fun experience for your little ones. The simple pleasure of jabbing their tiny hand into a bag of uncooked rice or a tub of raw beans is like going on a rollercoaster! We can capitalize on the joys of squishing, mushing, squeezing, and smashing to create intensely fun indoor play setups for our kiddos. If you remember correctly from what you read two minutes ago, kids love creating messes. When they see kinetic sand strewn across a room, they don't see an hour of vacuuming, they see a job well done. 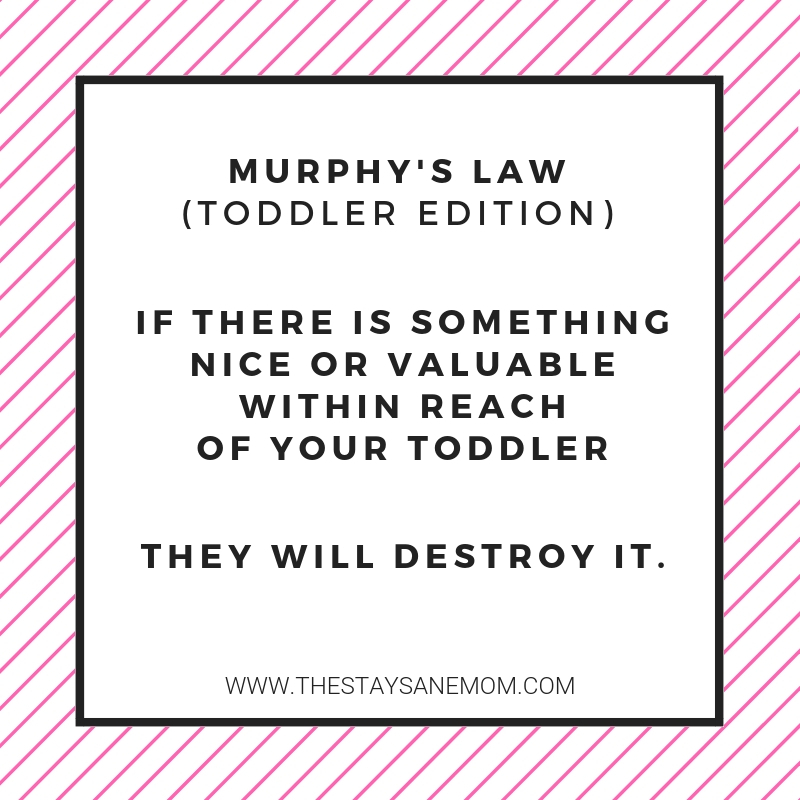 For this reason, when you're dealing with sensory activities, especially if you have an active toddler, make sure you "kid proof" an area twice the size of what you think they could possibly get messy. If you think you should put a placemat down where they're working, maybe throw a dropcloth over the whole table. Having them play on a specific section of floor? Maybe throw down an old sheet first. Just saying, kids are full of amazing potential. Someday that potential will be realized when they turn into world-beaters in whatever careers, sports, or other ventures they choose. Right now they will use that potential to throw things twice as far as you thought was humanly possible for a being of their size and weight. Finally, we get to the "really fun" part. 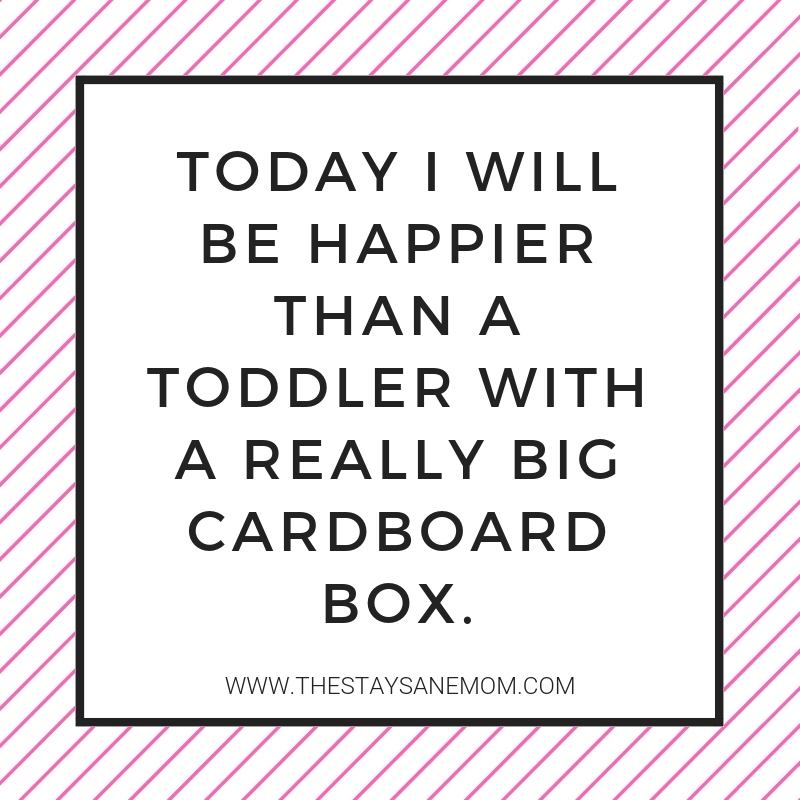 Those of us with active toddlers can confirm that they are usually the happiest when they're running around in circles and screaming their heads off. Other than sheer, primal enjoyment of running around in circles, kids need active play for many reasons. They need the gross motor coordination that comes with stretching their limbs, feeling out their physical capabilities, and learning new skills in a risk-free environment. Active play helps them get the basics of running, jumping, stretching, pushing, pulling, and all the other basic building blocks that will set them up for a healthy and athletic lifestyle. They also have a crapton of energy. (That's the scientific unit of measurement, right there.) A toddler that's cooped up in the house all day will, like the aforementioned group of angry raccoons, get more than a little stir crazy. Active play helps kids expend their excess energy so when it comes time to nap, sit still for dinner, or go to bed, they aren't so wound up that they accidentally explode. By scheduling a regular time for active play in a structured way, you're training your little one to harness all their excess energy and devote it to a singular pursuit. This is an essential skill that paves the way for more structured ventures to come (like school or team sports). Also, it keeps them from going toddler crazy. For those of you who haven't seen toddler crazy, believe me...it ain't pretty. So, now that I've spent all that time describing the four categories of play that, in our experience, have made indoor play more bearable and (dare I even say it) fun, hit the button below to download your guide to indoor toddler activities. This is an 8-page printable PDF full of lists and lists of different activities you can do inside with your little ones. I go over materials you can get free or cheap as well as hundreds of different activities you can do with your toddlers if you're trapped inside on a rainy day. Once you download it, let me know in the comments which one(s) are your little critter's favorites. Also, let me know if you have any favorites that aren't on the list! I'm always excited to hear new ideas!